In the 1940s there existed, under the auspices of the Tilehurst Methodist Church, a thriving organisation known as The Social and Recreational Club. There were also several youth organisations. In 1943 one of these, the Boys Club, put on an evening of entertainment, which included a one-act play. 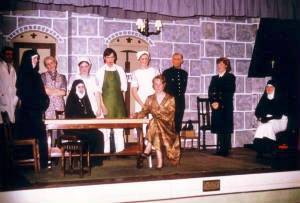 This inspired The Social and Recreational Club to venture into the field of amateur dramatics with a production of 'The House at Arrow Ghyll'. Following this questionable masterpiece 'The Drama Club' was formed, the name chosen by the members. They got into their stride with a number of productions put on in the Hall in some discomfort. We believe the first of these, in 1945, was 'Quiet Week-end'. Later the Youth Hall was built at The Triangle, roughly where Barclays Bank now stands. This immediately suggested a better title for the Drama Club which was re-named Triangle Players. The newly named group embarked on a series of productions, growing in experience, confidence and ambition as time went by. The opening of the new hall with its greatly improved stage made life much easier and productions more professional. In the 1950s the group decided to venture into annual pantomimes. These were written, and still are, by the members and became an instant hit, so much so that it became necessary to mount a third performance on the two Saturdays, making a total of eight performances. In addition there was the dress rehearsal to which Senior Citizens were invited in later years. The group was also responsible for a number of events in the Church such as Nativity plays. The early years were adventurous. 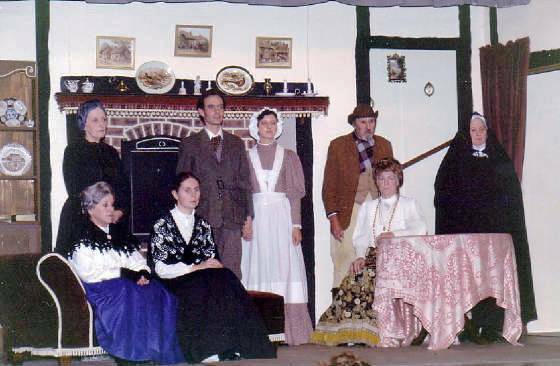 The Methodist church supported the Triangle Players financially until it became established. 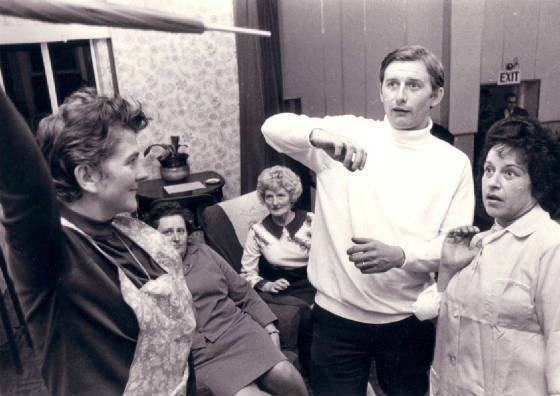 The group contained a large proportion of Church members and the leader and producer, the late Alan Wiles, saw Drama as a 'side door' into the church. Today, however things are very different. 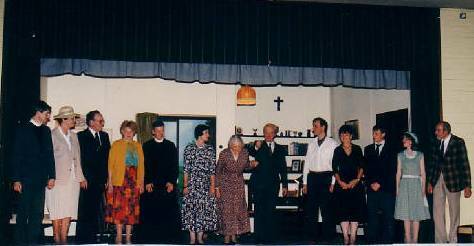 Although the drama group maintains its links with the church there is no obligation to be a member of the church to join the drama group. An exciting scene from 'Beside the Sea' in October 1973!